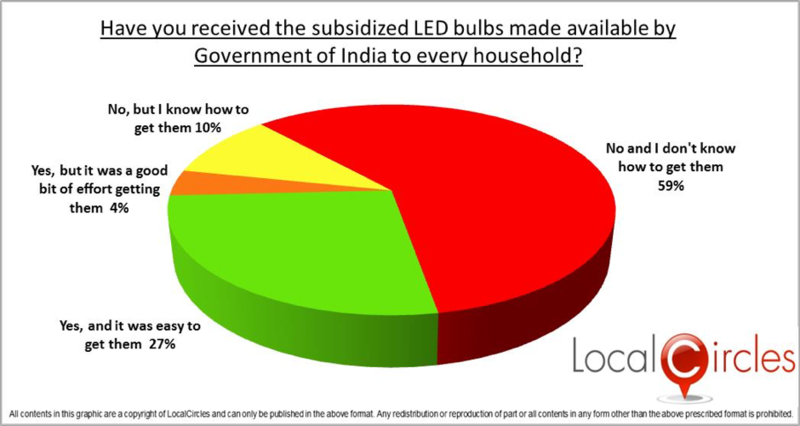 New Delhi, India, September 5, 2016 – The government had announced an LED distribution scheme under which customers of electricity board could buy LED at a subsidised rate. 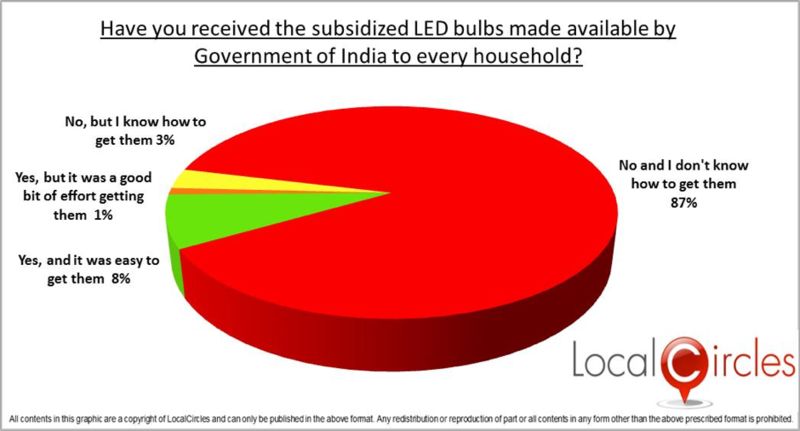 Prime Minister Narendra Modi had launched this scheme in April 2015, so it been more than 16 months. 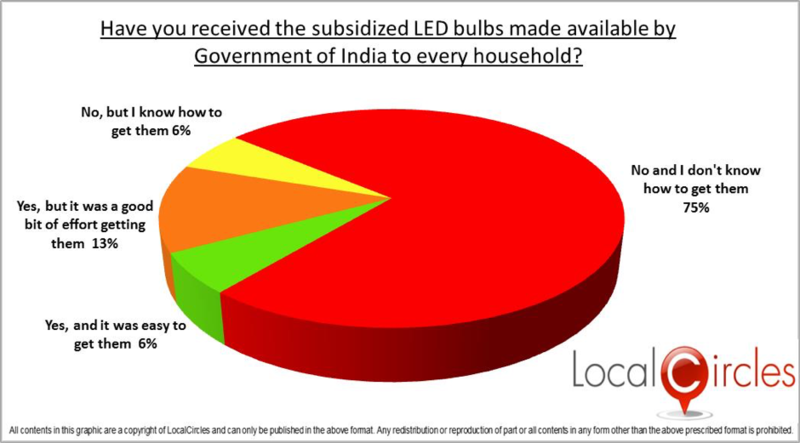 The objective was to reduce total power consumption as LED bulbs consume lesser power than CFL and incandescent bulbs. 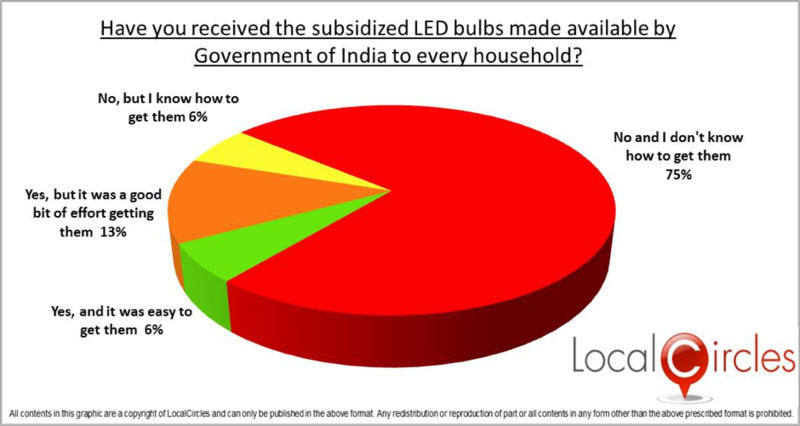 Though the scheme was announced by the central government, its distribution and execution is in the hands of the state government to be more specific the state electricity board. 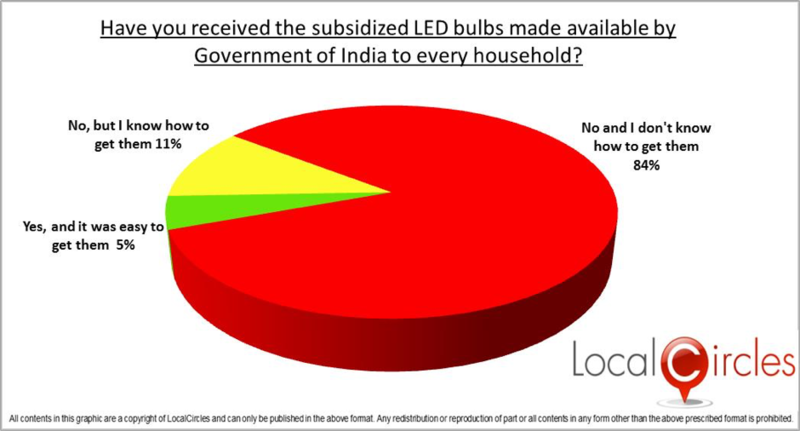 After observing multiple posts of citizens raising issues about getting LED bulbs, LocalCircles, the largest citizen engagement platform in the country carried out a poll across more than 56 cities and 20 plus states. 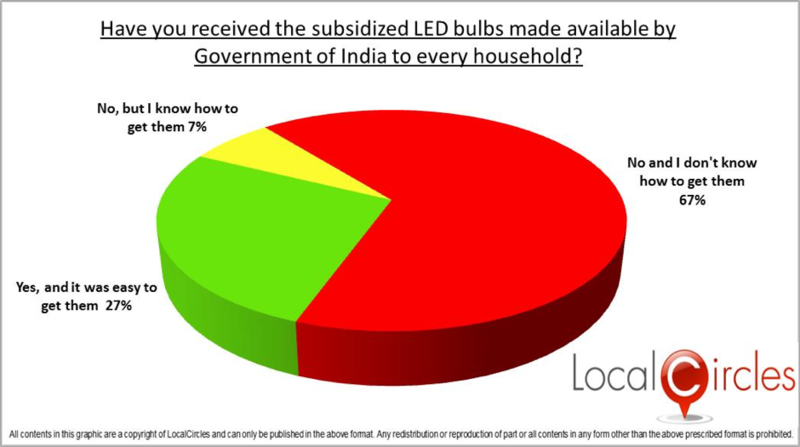 The objective of doing this poll in individual cities was that the customer experience for LED distribution would vary from city to city. 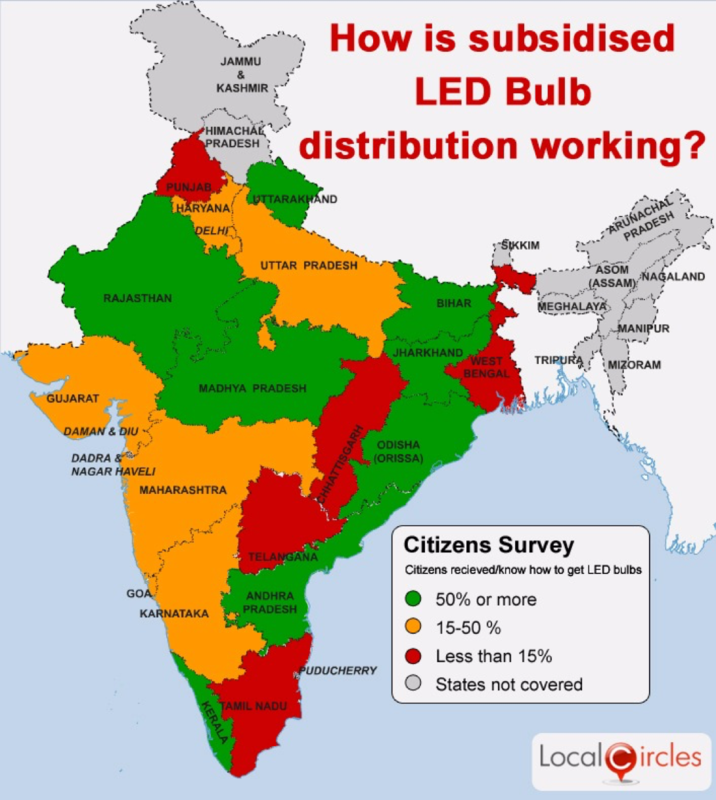 Some of these cities have privatised power distribution and some of them had state electricity board supplying it. 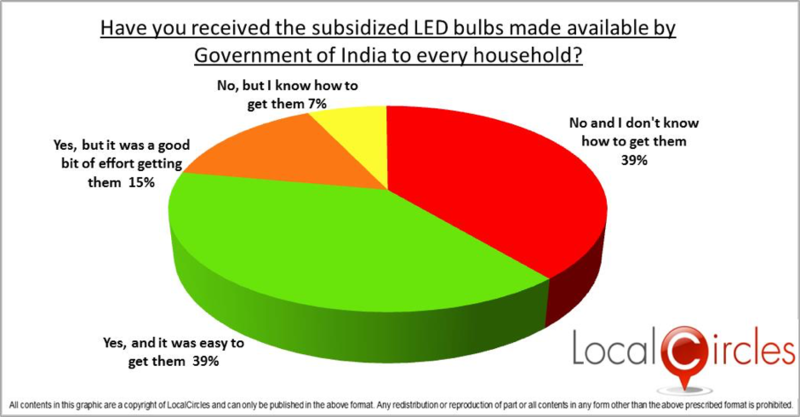 The consolidated figure shows that 64 % consumers across the country still don’t know how to get these LED bulbs. 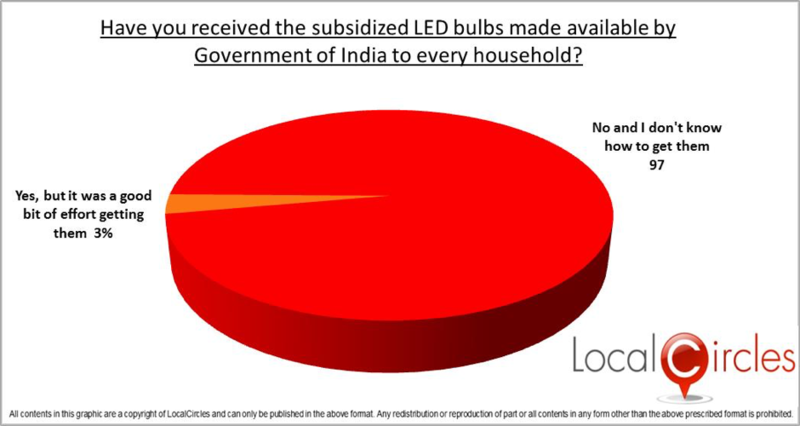 The reason for this is that the scheme has not been communicated to consumers properly. 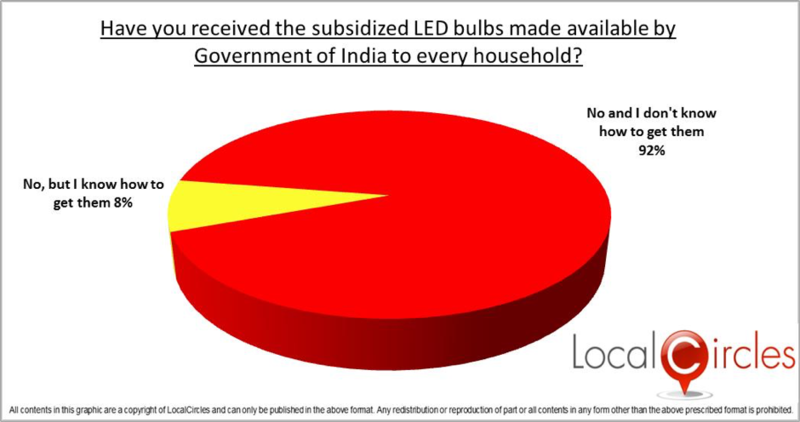 They are not aware of where to procure these bulbs from, how many bulbs can they buy and what is the paperwork required for the same. 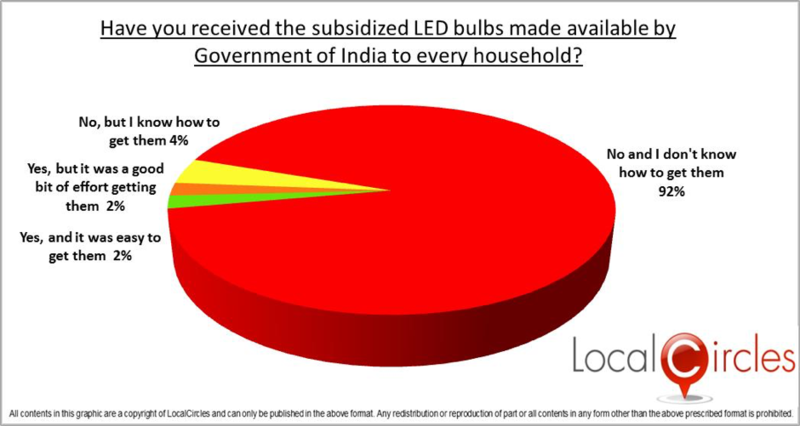 Every state electricity board communicates to its customers by sending them bills through post. 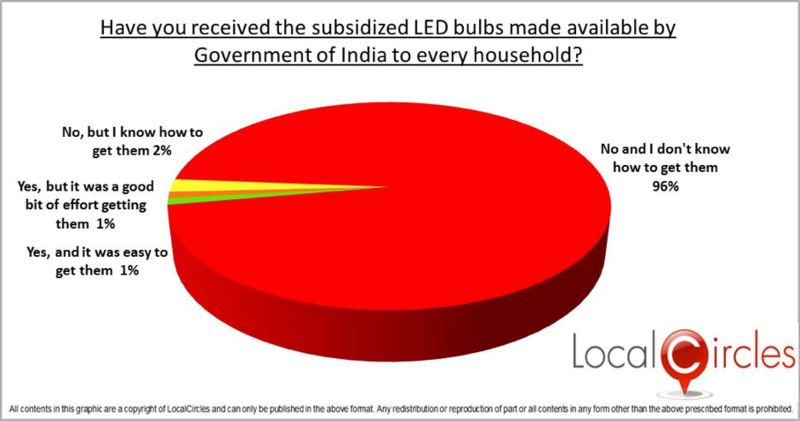 Not many SEBs have chosen to use the bills to communicate this offer to the consumer. 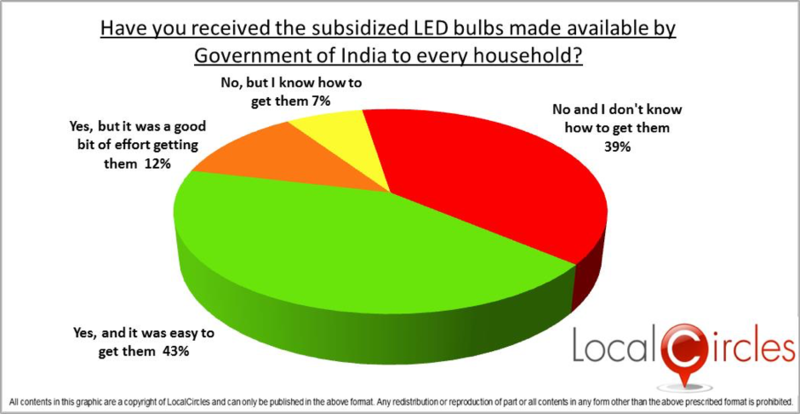 Some of who had are represented by the 23 % consumers who said they have received the LED bulbs and it was easy to get them. 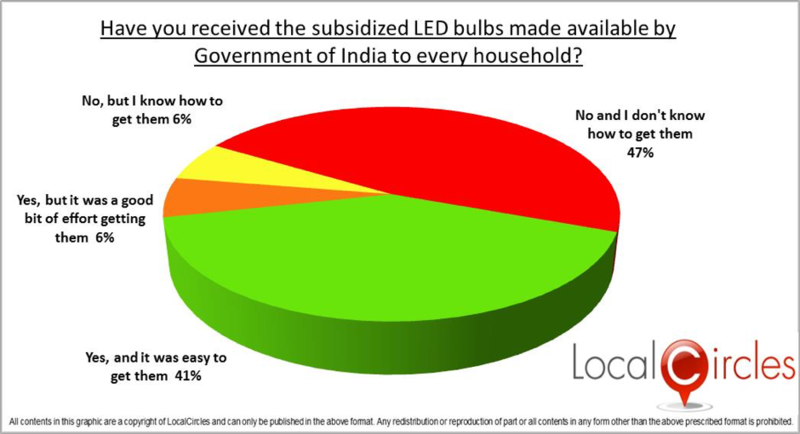 LocalCircles has broken up the polls state wise to show the impact this scheme has had on its customers. 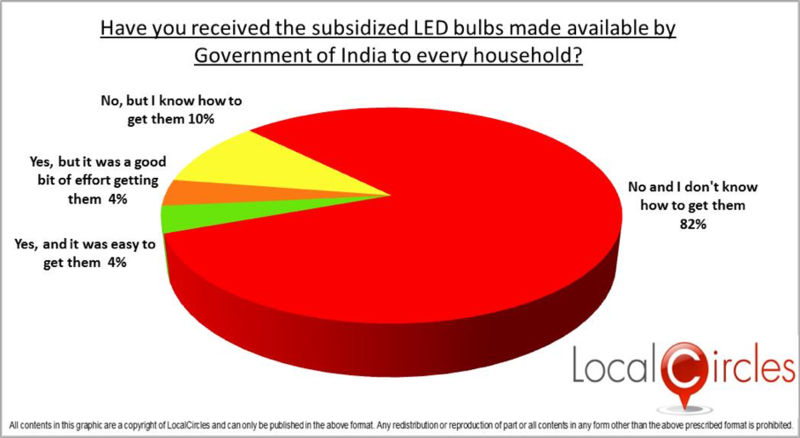 There is city level data also available which has been included with this study. 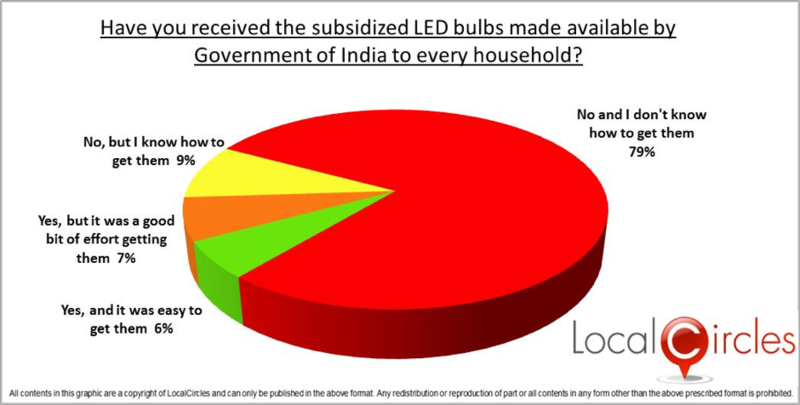 In crowd sourcing for solutions relating to the distribution of these bulbs several important points came out. 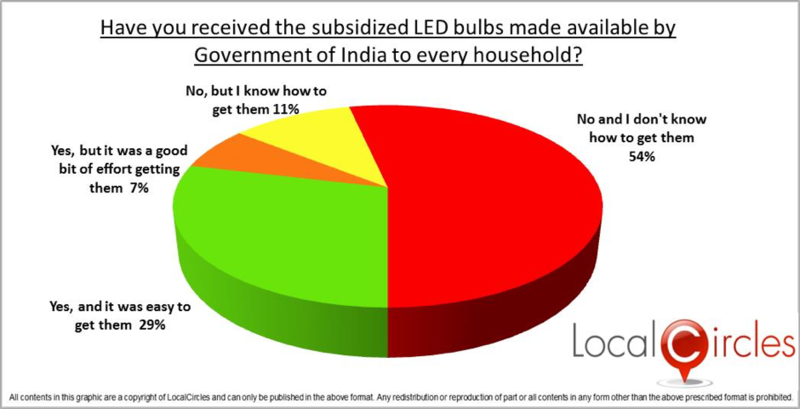 Consumers feel that the process for procuring the LED bulbs should be simple. 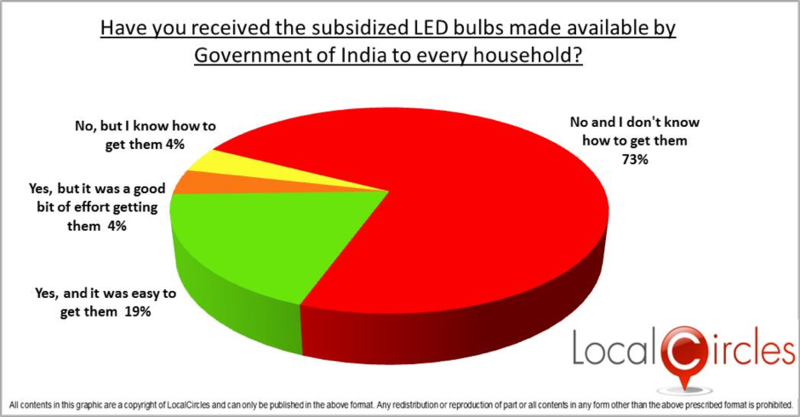 It should be communicated in all languages including local regional language in advertisements, and on the bills being sent to consumers. 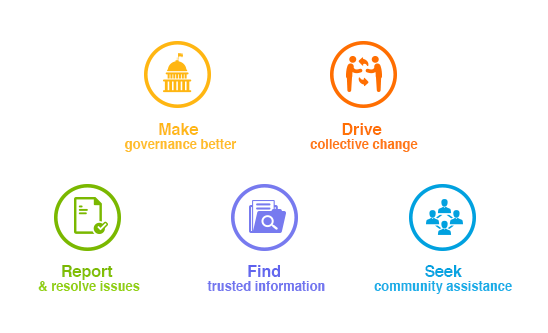 Citizens also suggested that local distribution agency should send SMS and have a hotline that citizens can call and find information. 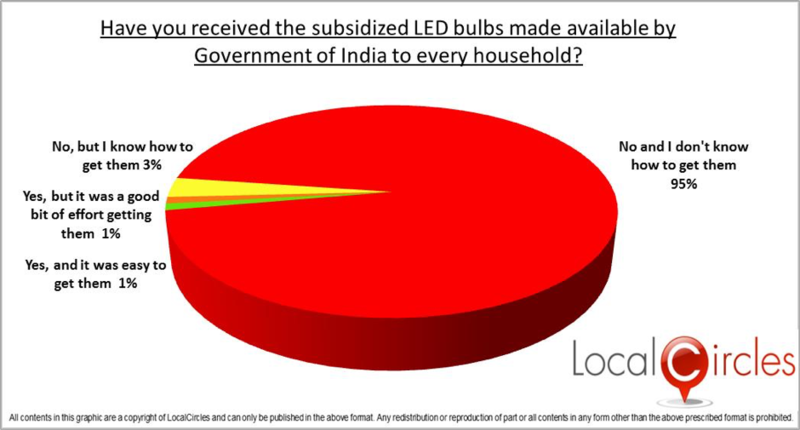 Moreover, they suggested that these bulbs be marked by specific identification codes that is visible so that this stock is not sold in the open market. 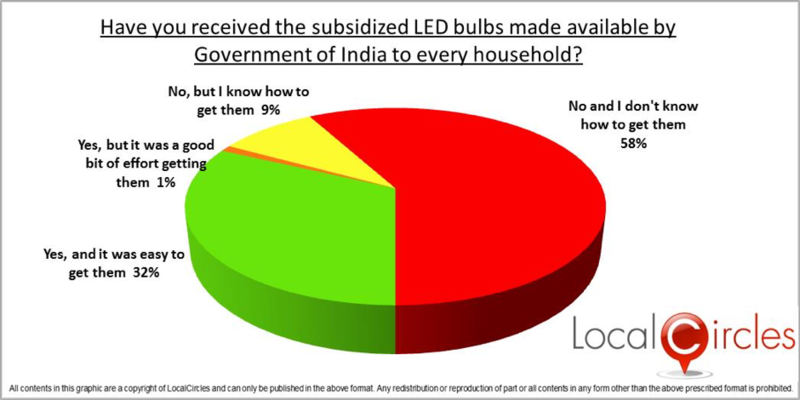 Consumers feel that there is huge chance of subsidised LED bulbs being sold in the open market by unscrupulous elements.